Thinking of–and aching for–others around the world as I read and re-read these words by the magnificent Palestinian poet Mahmoud Darwish (1942-2008). (do not forget the pigeon’s food). (say: If only I were a candle in the dark). I could probably fill this entire blog with poems by the phenomenal Palestinian poet Mahmoud Darwish (1941-2008). I love autumn and the shade of meanings. birth, dazzled in night-blaze or darkness. It crawls, and finds no names for anything. to recover the pearl of the crown from a fish in the lake. who are equal in the thirst for love. over the direction of its metaphors. Leave metaphor, and walk with me. 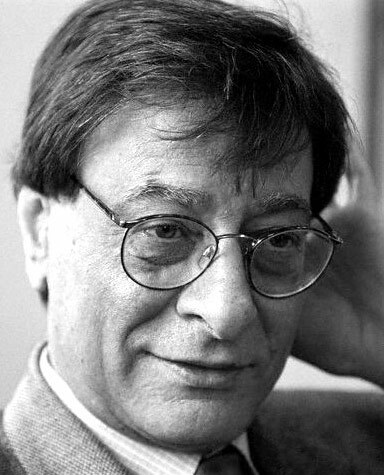 The beloved and formidable Palestinian poet Mahmoud Darwish would have turned 71 today had he not passed away in 2008. Today, I share some words from one of his last works, Almond Blossoms and Beyond, to honor his legacy and everything he stood for. He walks before me and I follow. an adolescent moon, a reality no longer real. and covers a willow tree in the North. I said:Did we not part? I said: Where are you taking me? He said: Toward the beginning., where you were born. Here, you and your name. letters easier on the foreign ear. March is a month of storms and lust. between a long winter and a long summer. I remember nothing but allegory. on the earth’s down, he said. to his well, like a song that is not sung. Sunset stirs up in us longing for an obscure passion. Things acquire new meanings at sunset. like the beat of a song not sung to anyone. transparency of shadows, drunk like water. Do you remember anything here? the earth is pregnant with us. its grief plain, like an orange in the night. Without it, mothers could not meet their children. My wings felt small in the wind that year. by the mothers and the aroma of sage. called diaspora and exile for us. are carrying off our place on trucks. The place is a feeling. in the mu’allaqa of the ancient poet. They pass us and we pass them. the birds who gather in me. Here our two orders of time meet and part. Who are you in the presence of now? I said: I am you, were it not for the smoke of factories. He said: Who are you in the presence of yesterday? a verb in the imperfect tense. He said: And who will you be tomorrow? you choose-since you are, yourself, a legend of love. your hands on my shoulders two birds. Do you see traces of the moth in the light? like one of the thoughts of our ancestors. and my shadow follows me, and I, it. Do not wait for anyone. Do not wait for me. I first encountered Palestinian-American poet Fady Joudah (1971-) through his translations of the beloved Mahmoud Darwish. But it turns out Joudah is a stunning poet in his own right. It’s difficult to choose just one piece from his first collection The Earth in the Attic, so expect to read more of his work in the future. All that is left is storytelling. And vacation-brochure ruins besieged by grass. Bread fresh out of brick-oven, wrist deep in olive oil, elbows dripping. Now spilled like beads out of a rosary. Not what they would have grown. We the people in god we trust. We the people in god we trust everyday around noon a mule. We the people dream the city: Oooh you give me fever. Oooh you give me fever so bad I shake like beads out of a rosary. Fever so bad it must’ve been malaria. Hey doctor! You mule-ride away, you cost the rest of harvest. Hey doctor, the city’s a medicine cabinet. We plant tomatoes, okra, squash instead. And a fig tree that won’t grow in Tennessee frost. Thanks for spending this lovely month with me, dear readers. I will try to continue posting poems when I have a chance. I concluded last year’s National Poetry Month selection with advice from the Lawrence Ferlinghetti, and now I close with some thought-provoking words from the great Palestinian poet Mahmoud Darwish. If you’d like to hear the poem in Arabic, click here. and begin from your own words. in the book of agony. Don’t ask anyone: Who am I? You know who your mother is. As for your father, be your own. of the matter too much lest we hurt emotions’ health. you won’t budge in a storm. You are like me, but my abyss is clear. And you have roads whose secrets never end. They descend and ascend, descend and ascend. the wisdom of a cool non-lyric. don’t equal one bird that wears a tree. is beautiful flowers in a cemetery. behind the borders of echo. Ardor has an expiration date with extended range. follow it before you reach your path. of an excess, fugitive cloud. Deviate, with all your might, deviate from the rule. to complete the rising rapture. Don’t believe the accuracy of our instructions. Believe only the caravan’s trace. when you serenade yourself in a closed room. plains and hills, rivers and valleys. follows you or the gallows. Your tasks are not what worry me about you. if you distance yourself from others, and from me. What doesn’t resemble me is more beautiful. From now on, your only guardian is a neglected future. or follow your intuition’s light. Think of yourself: is this all of myself? The poem is always incomplete, the butterflies make it whole. No advice in love. It’s experience. No advice in poetry. It’s talent. And last but not least, Salaam. Tonight a poem from the magnificent Palestinian poet Mahmoud Darwish (1942-2008), whom I have written about before. to complete Homer’s story, or his sun. and falls into you, when I embrace you, a night. على ورق الأمس : لا صوت إلا الصدى . أنا امرأة , لا أقل ولا اكثر . Have you heard of Mahmoud Darwish, who died less than a year ago at the age of sixty-seven? He was considered by many to be the voice of Palestine; whether he was constructing poetry or prose, he was always writing as a fiercely proud Arab (he was born in Western Galilee). Look him up. Read his words. Let his poetry gift you with a different lens into a situation you may have only been exposed to through the news. I offer one of his more subtle poems to you tonight as I think about my mother, who is also a proud Palestinian. Worth the tears of my mother. I am too weak to stand. Back to your waiting nest. a bird’s sustenance, and an immortal olive tree. I have learned and dismantled all the words in order to draw from them a single word: Home. Enter your email address to subscribe to my blog and receive new poetry posts in your inbox.